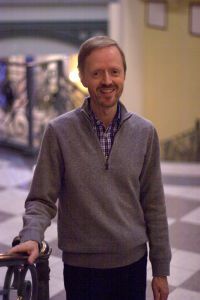 Ken Johansen is on the faculty of the Peabody Conservatory, where he teaches keyboard skills, including sight-reading, keyboard harmony, and score reading, to piano majors. Johansen holds degrees from Peabody and from the University of North Texas, and trained extensively in the pedagogical tradition of Nadia Boulanger in Paris. He has given concerts and lectures across the U.S. and France and has written articles for American Music Teacher, Piano Journal, Clavier, and Piano and Keyboard. He is one of the co-inventors of Read Ahead, a piano sight-reading app for the iPad.